The Pumpkinvine Nature Trail is one of the true gems of Elkhart County, especially for outdoors enthusiasts. 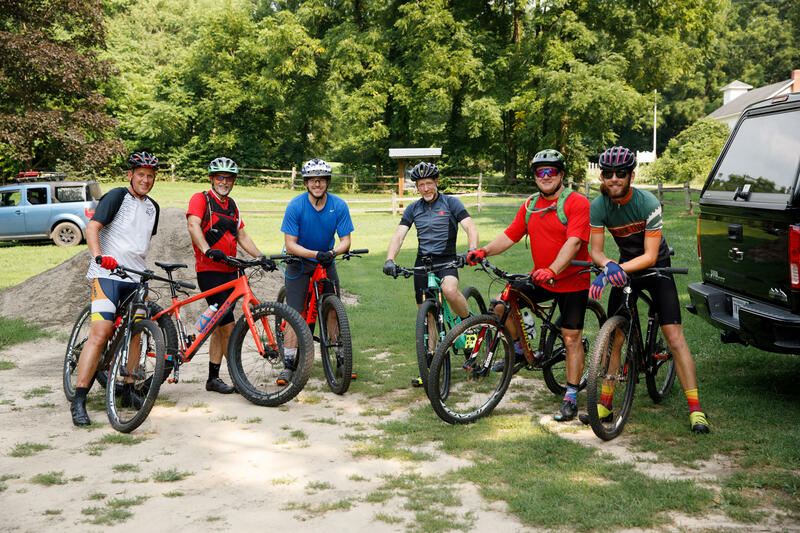 Thanks to word of mouth and the annual Pumpkinvine Ride that draws more than 1,000 riders, many from Michigan, Illinois and Ohio, the rest of the Midwest is finding out about it too. The scenery along Pumpkinvine Nature Trail in northern Indiana is so quintessentially Midwestern it almost seems unreal. It’s as if the trail builders crafted an elaborate, linear stage to convey the most idyllic version of life in what jet-setters dub flyover country. Red barns and white farmhouses are set against rolling pastures. Each homestead is characterized by tidy vegetable gardens, clotheslines and children playing outdoors. All manner of livestock graze. The pastoral landscape has remained traditional because most of the land is owned by traditional people. 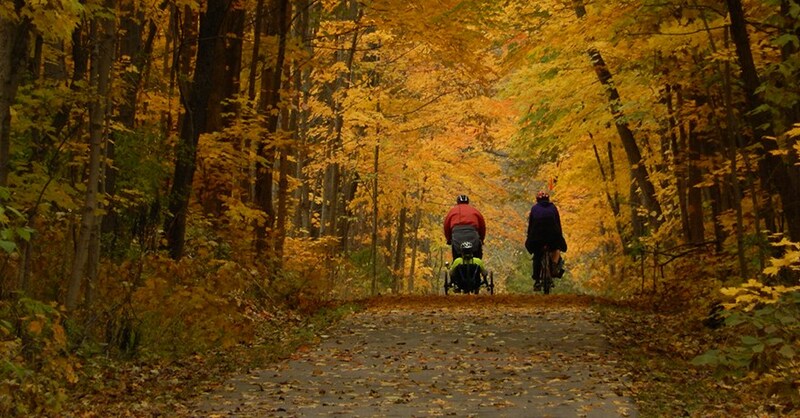 Pumpkinvine is a rail trail that runs 17 miles from Goshen to Shipshewana, through the heart of Amish country. It’s open to pedestrians, bicyclists and roller skaters. But farm life and Anabaptist culture are only part of the trail’s appeal. As the trail’s name suggests, it boasts opportunities to see wildlife in a variety of habitats, including several kettle lakes and wetlands. “We have a birder who has identified 130 different bird species on the trail,” said John Yoder, president of Friends of Pumpkinvine Nature Trail. In Goshen, Pumpkinvine connects with two other trail systems. 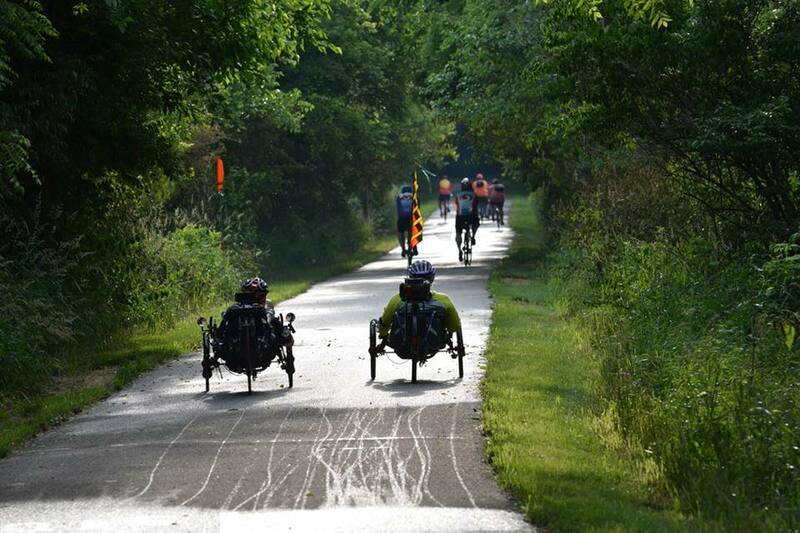 The Maple City Greenway explores that city, and the MapleHeart Trail continues almost 12 miles west to Elkhart. Maps and information on trailheads is at Pumpkinvine.org. Pumpkinvine is paved except for a 1.75 mile stretch of gravel north of Abshire Park in Goshen. The surface, however, is so compacted that even road bikes with narrow tires will be fine. Pumpkinvine follows a rail corridor built in the late 1800s by the Canada & St. Louis railroad company that ran from Bay City, Michigan, to Danville, Illinois. The line was also called Pumpkinvine, but no one knows exactly why, according to Yoder. One theory is that the nickname reflects the line’s somewhat meandering path. Service stopped in the early 1980s. “It was never very successful,” Yoder said. Fall colors envelop the Pumpkinvine Nature Trail. Also in the 1980s, Yoder, then director of information services at Goshen College, had visited Oakbrook, Illinois, and seen the Illinois Prairie Path. Founded in 1963, it is regarded as the first rail trail in the U.S.
“I was inspired,” Yoder said. Yoder and a handful of other people formed Friends of Pumpkinvine to pursue a rail trail for their community. The group raised $60,000 and borrowed another $40,000 to buy the 17-mile stretch of railroad from Penn Central. Many landowners, including most Amish families, opposed the project. The biggest concern among Amish families was a loss of privacy and a potential for vandalism. The Farm Bureau sued to stop it, arguing that Penn Central never owned the corridor, and, therefore, that Friends of Pumpkinvine didn’t own it either, Yoder said. “We had 10 to 15 years of litigation,” Yoder said. Eventually the courts sided with Friends of Pumpkinvine, and the project took off. In 2009, the trail expanded from Middlebury to Shipshewana. Now, the organization is working to close a brief gap located between Goshen and Middlebury that requires users to navigate county roads. Many of the Amish families that once opposed the trail have come to appreciate it, Yoder said. Amish bicyclists make up a large share of the trail’s users. In fall 2017, area Amish churches collaborated to collect donations for the trail. For bicyclists, Pumpkinvine is worth the drive, no matter how far downstate you live. So, head north for one of the most rustic rides in the Midwest. Vibrant Communities is a movement in Elkhart County focusing on the connection between economic growth and quality-of-place initiatives.